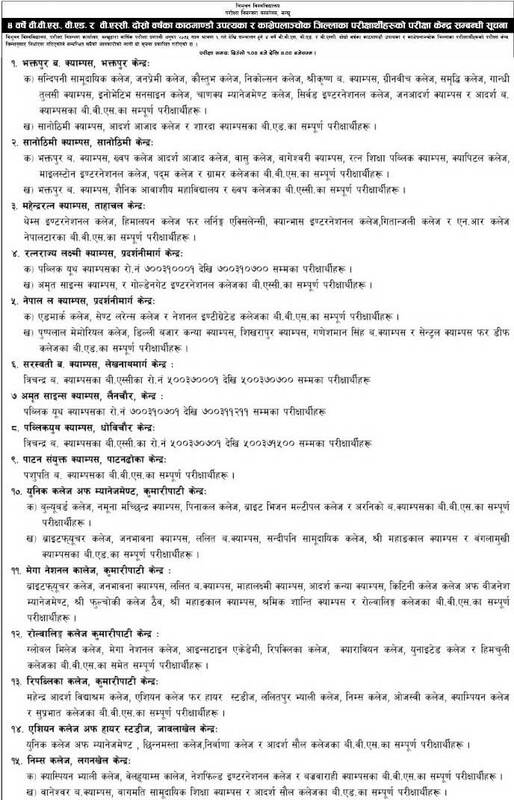 Tribhuvan University Office of the Controller of Examination has changed the examination centers of the following mentioned campuses/colleges for the 4 Years BBS, B.Ed and B.Sc Second Year examinees. > 4 Years Bachelor of Science (B.Sc) 2nd year program. 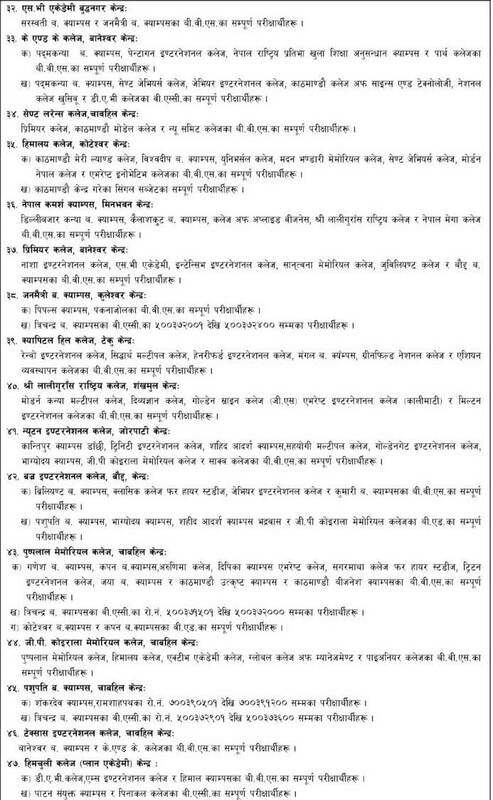 These examinations are going to start from Shrawan 6, 2075 (July 22, 2018). 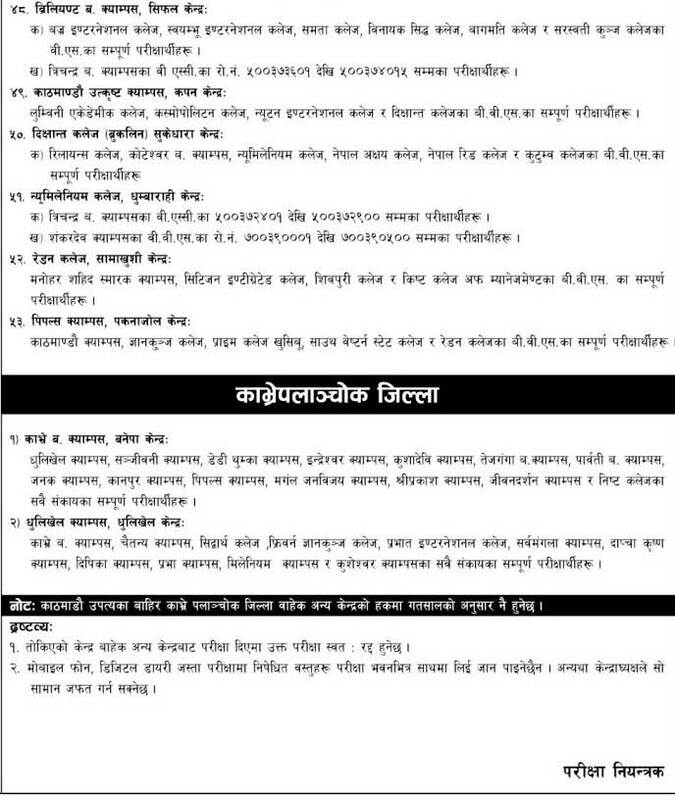 The examination time is from 1 pm to 4 pm.